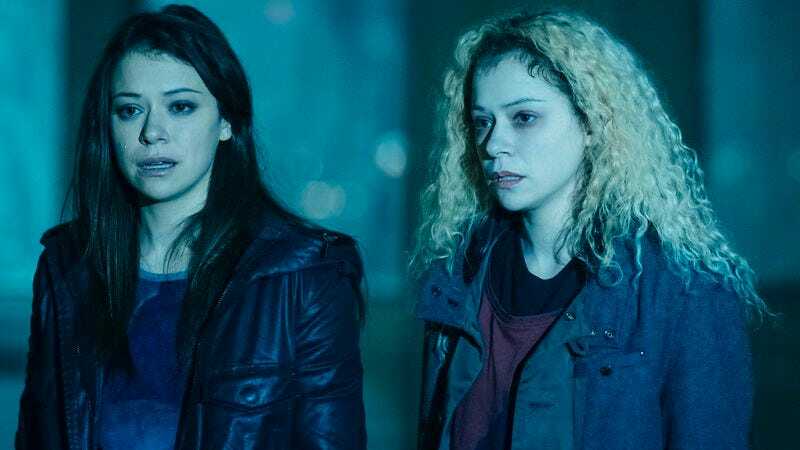 After three seasons of wrangling an increasing number of Tatiana Maslanys, Orphan Black has itself been cloned, as Digital Spy reports that BBC America has given the show its own after-show for unpacking feelings and espousing new Neolutionist theories. The 30-minute talk show is titled After The Black, and will air immediately following the latest episode of Orphan Black. The show will be hosted by Ajay Fry, Morgan Hoffman and Teddy Wilson, hosts of InnerSPACE (a sci-fi news show, not the Joe Dante movie), presumably because Chris Hardwick effuses exclusively for AMC. Fry, Hoffman, and Wilson will be joined each week by members of Orphan Black’s cast and crew, with Maslany and Kevin Hanchard set to appear in the After The Black premiere. There will also be behind-the-scenes footage, though the BBC might be hard-pressed to find a clips sponsor as suitable for Orphan Black as Subway clearly was for The Walking Dead. In light of season four’s “back to clone basics” approach, maybe TGI Friday’s can lend it some revived flair.